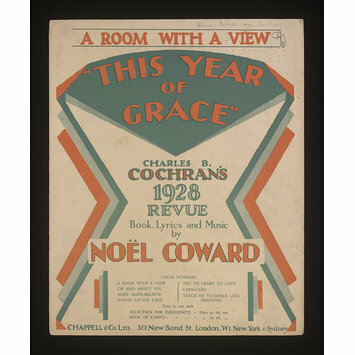 Music sheet for A Room with A View, published by Chappell & Co., London, ca. 1928. Charles B. Cochran was last in a great line of showmen (he never called himself a producer or impresario) guided by their instincts rather than their wallets. 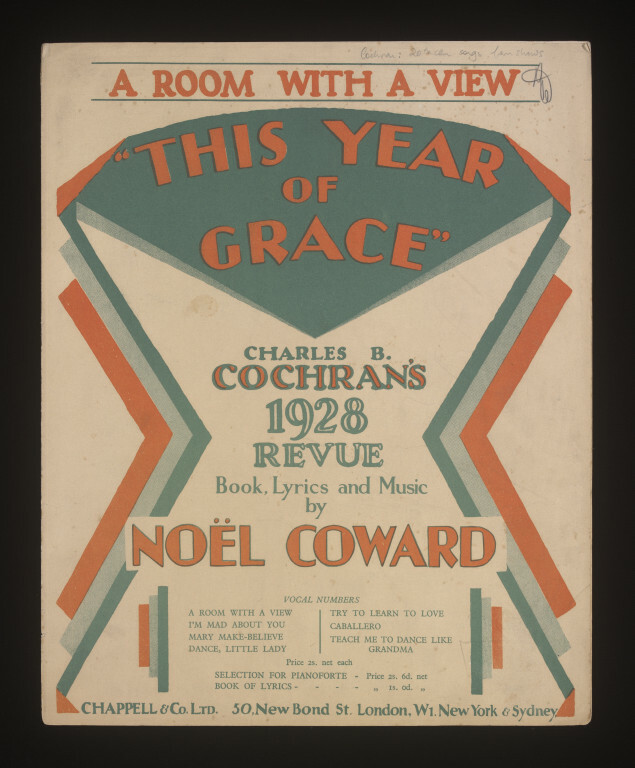 Cochran shows brought together the most talented performers, designers, composers and writers. He promoted wild west shows, wrestling and boxing with as much enthusiasm as theatre. His shows could be opulent, extravagant and expensive or he could just promote a solo dancer. Not surprisingly, Cochran was bankrupted on more than one occasion.